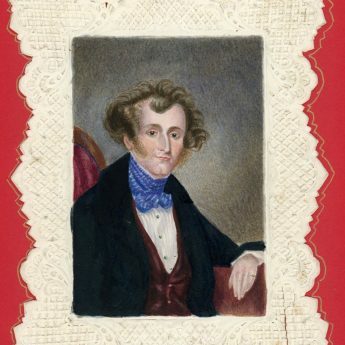 This pensive gentleman with his wayward hair, his dapper cravat and his pinkie ring is Charlie Murphy or, to give him his full name, Charles Henry de la Poir MacMurrough Murphy! 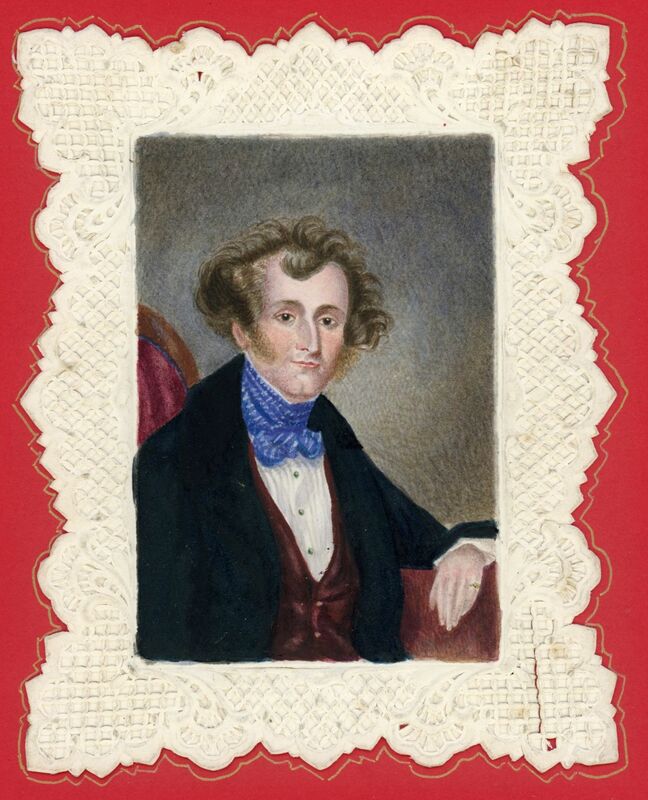 His likeness was captured in 1842 by his fourteen year old sister, Lilly Henrietta Georgina. 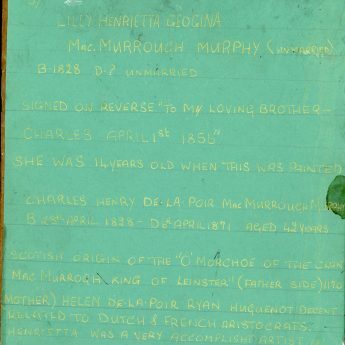 Charles and Lilly were the children of Henry Charles Boyle MacMurrough Murphy of Co. Wexford and Susan de la Poire Jacob (1794-1851). 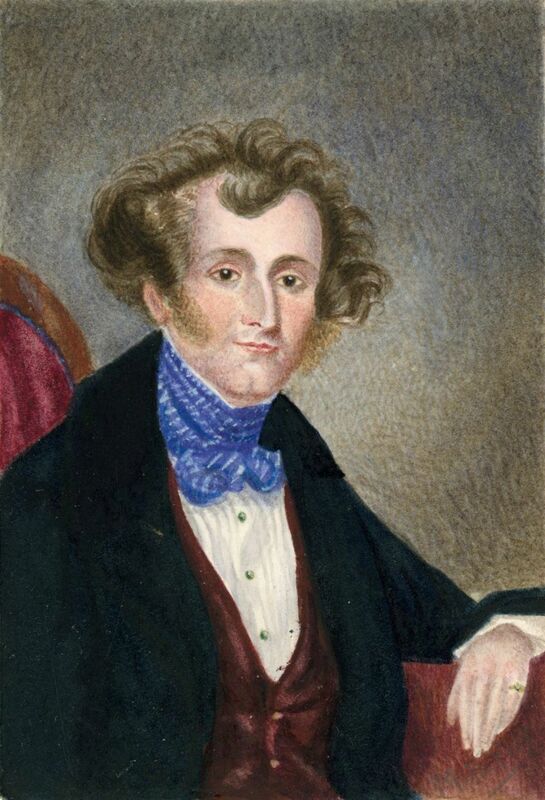 Lilly travelled extensively in Europe during the 1830s and 1840s before returning to live in Dublin. 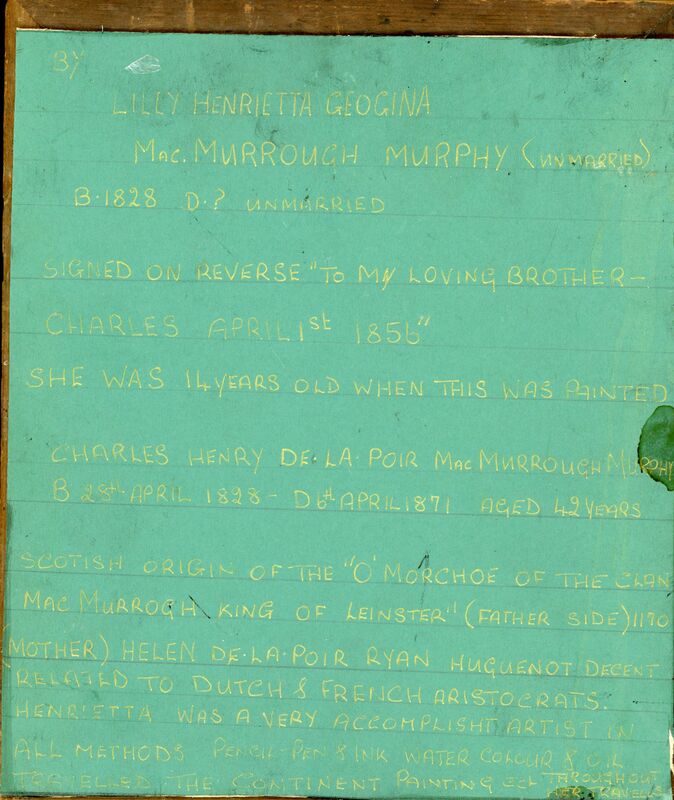 She never married and later lived with her sister Charlotte at Loughry in Co. Tyrone. 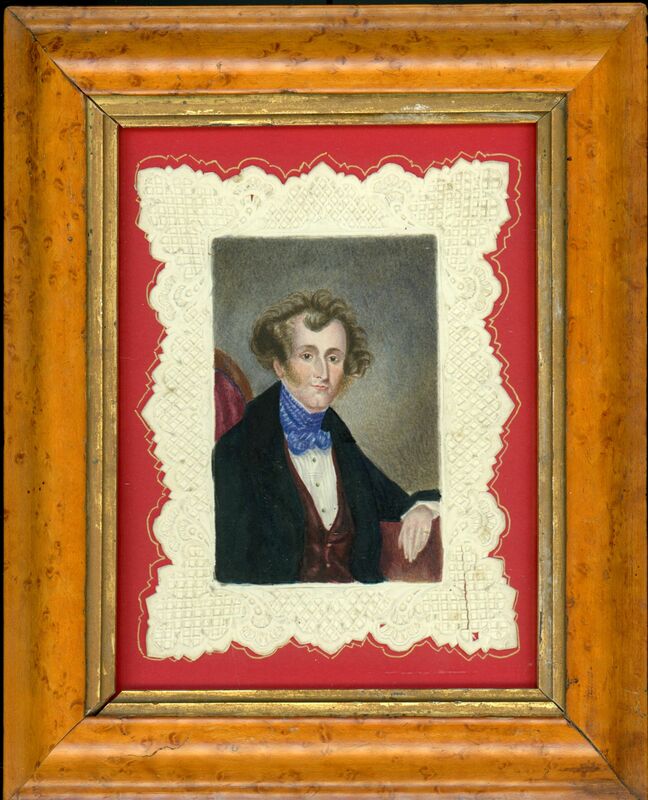 According to a later inscription on the reverse of the frame, Charles died in 1871 at the age of forty-two. Watercolour on card with a paper lace border loosely set on red card and outlined in gold ink. It resides in a bird’s eye maple frame with a gilt slip. 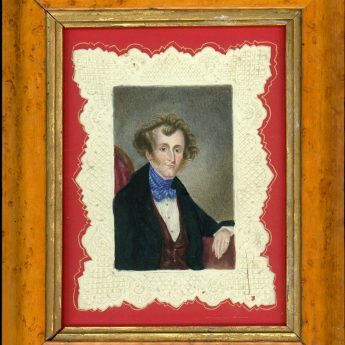 There is a a small closed tear to the paper lace border on the bottom right corner but otherwise this charming piece is in good condition.